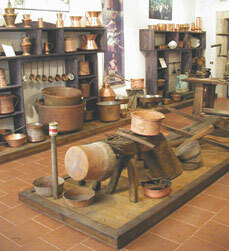 Traditional and characteristic, is the craft of Tossicia, what is the processing of copper, which has its forges in the hamlets of the district Chiarino. It 'a thriving local craft, developed over the past two centuries; has a technique, very old, dating back to medieval times when copper was traditionally worked with both the movement of large hammers, driven by the water of the river, and is using small wooden hammers and those anvil. Reaching the desired shape, the outer surface is worked with stilettos that allow you to make drawings and ornaments, for which you need a great craftsmanship. Objects products, usually for kitchen utensils, play now mainly a function of ornamentation and furniture. In the village of Azzinano are manufactured frontals and rugs, fabrics either by hand, with their beauty that we send that tangle fascinating ingenuity, innovation and creative and popular local tradition. In the district of Azzimano, also in 2001 founded the initiative "The Walls tell" with the intention of bringing joy and pleasure, reviving the old walls of the village who have no history and no voice, but thanks to these paintings, they return to be protagonists. It should be remembered, finally, working with wood and metal. Copy the actual purpose of the Museum of Tossicia: is to enact the collective culture, work and daily life in peasant life. Five rooms and the main one is dedicated to the production of copper. The second room contains the location of the weaving maid, by the creation of the thread (flax, hemp, wool) until the completion of the fabric, with more than the necessary tools, including a range of fabrics collected over the years depending on their daily use, among all stands the "frontal" tissue typical, rather heavy, multicolored wool, that women wore tied on the sides against the cold winter days. The other rooms are devoted to "old" professions, like the tailor and the shoemaker, and finally a room entirely devoted to the grain and feed. 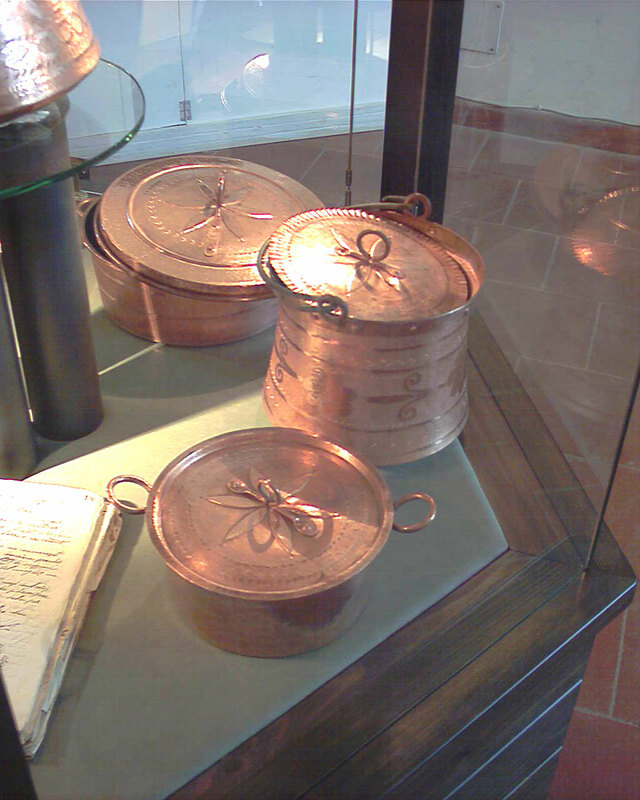 The museum frequently hosts school groups, organizing educational workshops on copper processing and weaving, directly involving boys. January 17: Bonfire for Sant'Antonio Abate. July: Festival of the bean and chop. August: historical re-enactment of Alarcon y Mendoza. December 13: Festival of light for Saint Lucia.